For those that have been watching the television and are into the paranormal it is known that there was a return of the show Paranormal witness. One of the experiences they related I had already seen before in a previous documentary on the paranormal. With this show however they went into greater detail about the single mother’s ordeal. The main thing that stuck with me though is that the priests that came to “help” her claimed she welcomed death into her home. This struck a cord with me. A very irritable one at that but then again I have a general distaste for the church. Now to why it struck a cord is for how I think about death. One, someone cannot simply invite it into their home. Death is a strictly professional being and only comes when required and doesn’t bother to linger. Additionally I think a majority can agree that death does not cause paranormal activity since such things occur after the death not right at it (except in some special cases) . Two, when it comes to matters of the supernatural, unless otherwise shown, priests cannot be trusted in their information. Why is this? Mainly for the fact that being of the church makes them exceedingly biased in their opinion and for some their “holier than thou” attitude. Disclaimer: I am very well aware of the fact that the above addresses a minority of the people within or affiliated with the church. Whispered insults are heard louder than shouted compliments after all. Continuing on a spirit does not by any means need the home and/or landowners permission to be there or to come into the home. I mean come on they can go through flipping walls. What’s the average person going to do to stop them from entering? In many cases the spirit was there long before “intruding” homeowner came to live there. This is a mute point though since many of you already know this. There are many ways in which to get them out of the home though I can’t speak for their effectiveness since I have never tried any means to clear my home. This also isn’t a post on how to get make peace with them either. The main idea of this post was to correct the statement within the show as quoted from the priests. Having little skeletons in your fish tank will not invite death. Dolls claimed to be associated with the paranormal made for the tourist trade in any country does not invite death. Buying any little old antique or trinket will not invite death either. Death is a part of life and only comes when required. 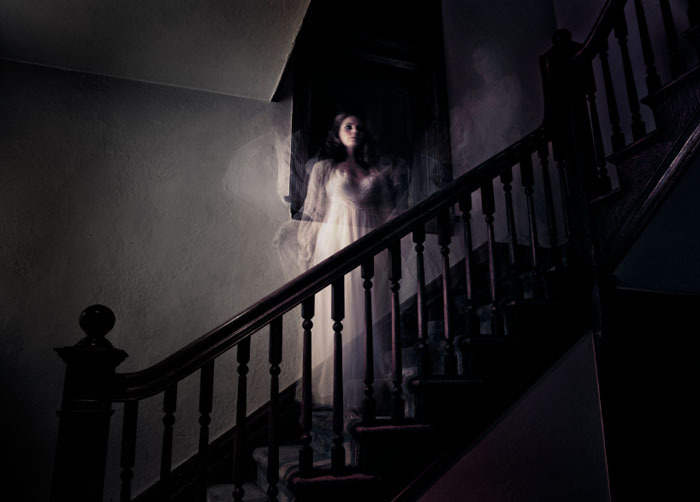 Spirits, Ghosts, Spectres, whatever do not need an invitation to enter the home. I will state that they can enter if someone left a “door” open for them as a minor disclaimer. This entry was posted in Spirit related and tagged death, explained, paranomal, welcoming, witness. Hi, Neat post. There’s an issue with your site in web explorer, could check this? IE still is the marketplace chief and a large section of people will pass over your magnificent writing because of this problem. I am extremely impressed along with your writing talents as neatly as with the format on your weblog. Is that this a paid topic or did you modify it your self? Either way keep up the nice quality writing, it is rare to look a nice weblog like this one nowadays..
*happy squeal* Thank you so much I’m trying to do my best with this. ; w ; I’m not being paid for this and the main reason for the existence of this blog is for me to impart the knowledge that I have learned to the related topics. I don’t intend to quit writing this either hehe. Wonderful points altogether, you simply gained a new reader. What may you recommend about your put up that you made a few days in the past? Any sure? I’m happy to have a new reader. Though you might want to reword your question. I don’t understand what you’re trying to ask. I do not even know how I ended up here, however I believed this post was once great. I don’t recognize who you’re however definitely you are going to a famous blogger in the event you aren’t already. Cheers! I can say that I’m not a famous blogger by any means and in fact this is my very first blog. Thank you very much for your kind words and I hope that if I do gain minor fame from this it’ll help the curious wanting to learn about the subject matter. Great site. Plenty of helpful information here. I’m sending it to some pals ans additionally sharing in delicious. And naturally, thank you in your effort!